Ever since I entered college, I became obsessed with my hair. 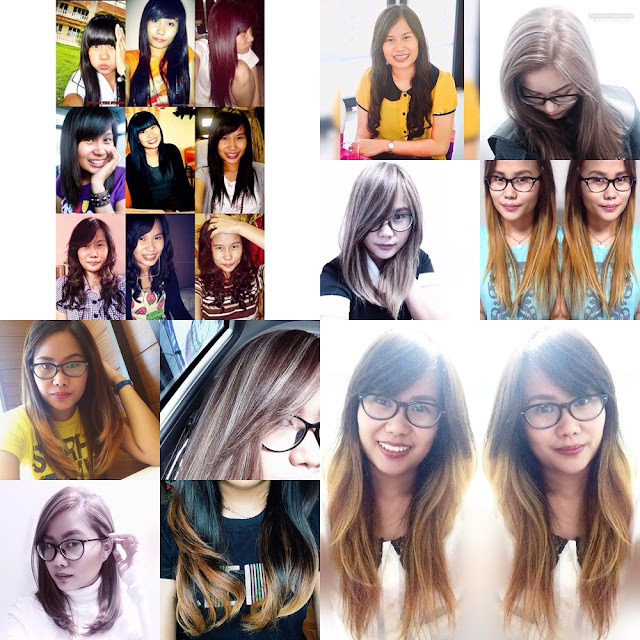 I've tried straightening treatments, having full bangs, coloring my hair (full head, ombre, and balayage highlights! ), digital perm (thrice!) and then the numerous Brazilian Blowouts that I've had the last couple of years. That is why it is very important for me to take good care of my hair all the time. However, the last treatment that I did to my hair really dried it out. 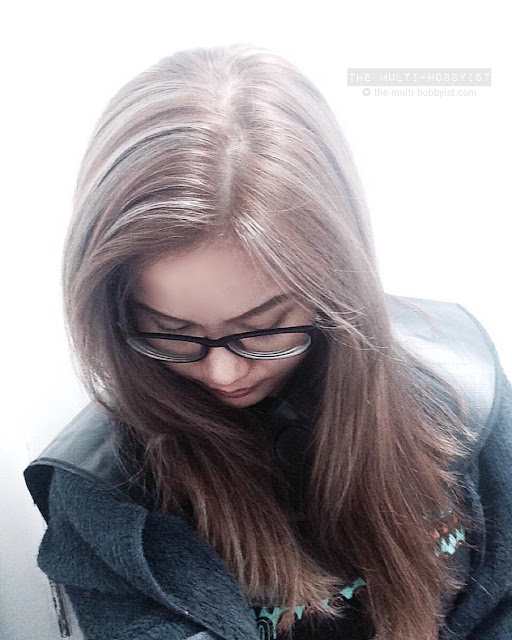 I had a Balayage Highlight which involves bleaching my hair and dyeing my entire hair ash brown then some parts of it ash grey as the highlights which took hours for the first day. It did not end there though. To complete the look I wanted, I had to get the original Brazilian Blowout treatment which had to be done the next day after the second part of coloring it. To achieve the color I desired, I had to sit in the salon chair for hours. 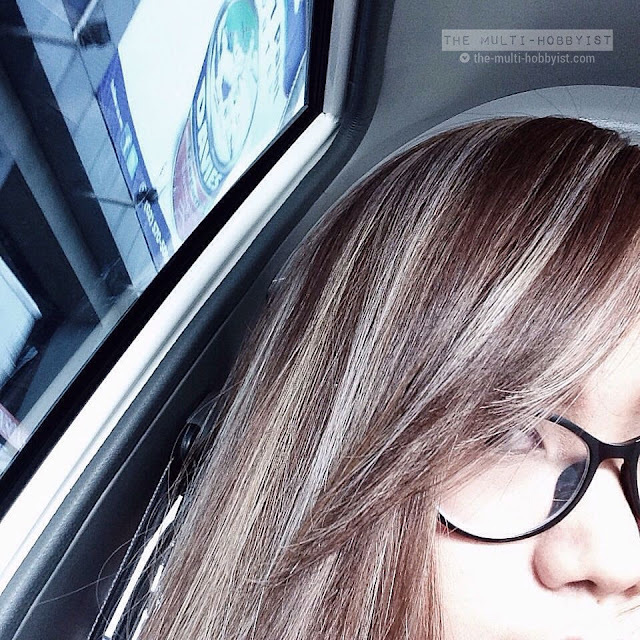 My hair was quite stubborn because even though the bleach was left for hours, some strands were still dark. My colorist advised me to come back the next day for the reapplication of bleach and to finish the treatment. He was so patient and nice though, love him and his service. 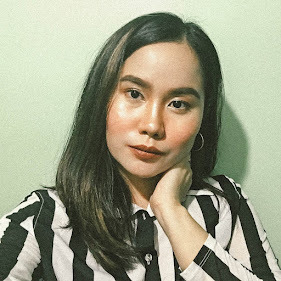 Ever since I started coloring my hair, I always made it a point to have a keratin treatment at the same time to seal the color, for the added gloss on my hair and it looks and feels healthier as well. Yun nga lang, it wasn't enough. My hair still became drier because of the bleaching I've had twice. So since the problem is here, I accepted it and find ways on how to take care of it. I've tried several SLS-free shampoos already to no avail. In fact, I've given up and used the mainstream brands instead that were stocked up in my beauty box (where I put all the beauty products that I don't use yet or won't use anytime soon). 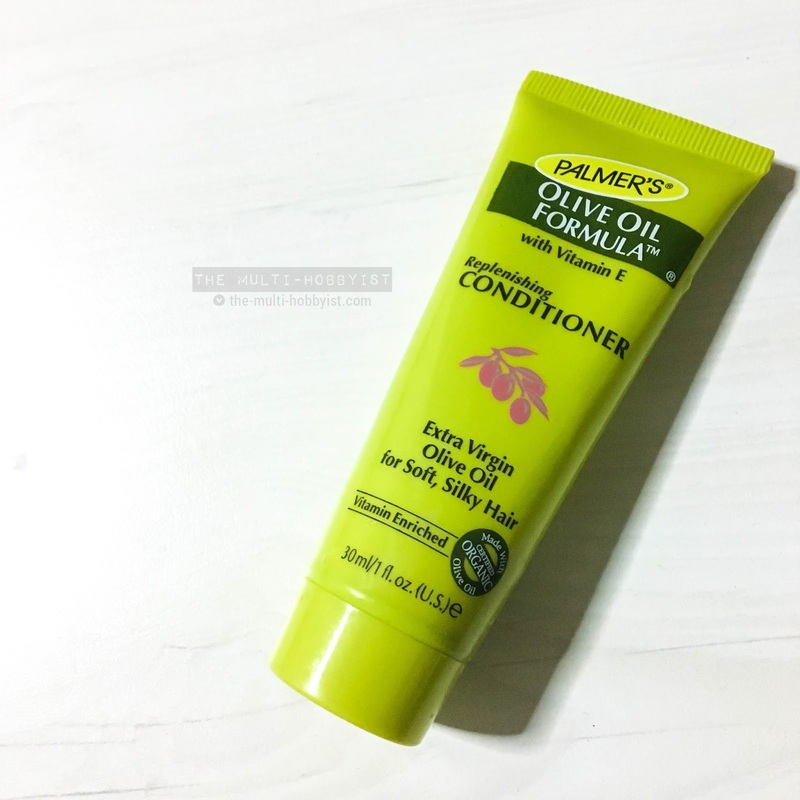 That's when I found my sample of Palmer's Olive Oil Formula - Replenishing Conditioner. It was given from the loot bag that I got from a 2nd Avenue event a little over a year ago that was in my beauty box--forgotten. 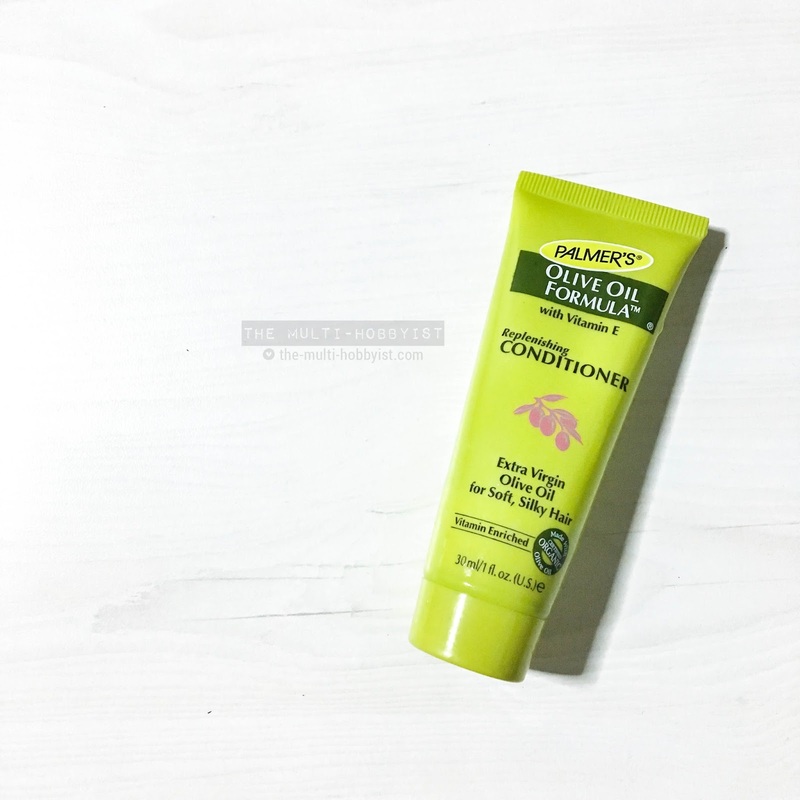 I was running out of SLS-free conditioner again so I decided to use this. I received 2 of this and I already emptied the first one so I knew what to expect. This conditioner is different because it isn't as fragrant as the others, and once you put it in your hair, the consistency is kinda odd because it isn't slippery when applied. It's like applying some oily product onto your hair. 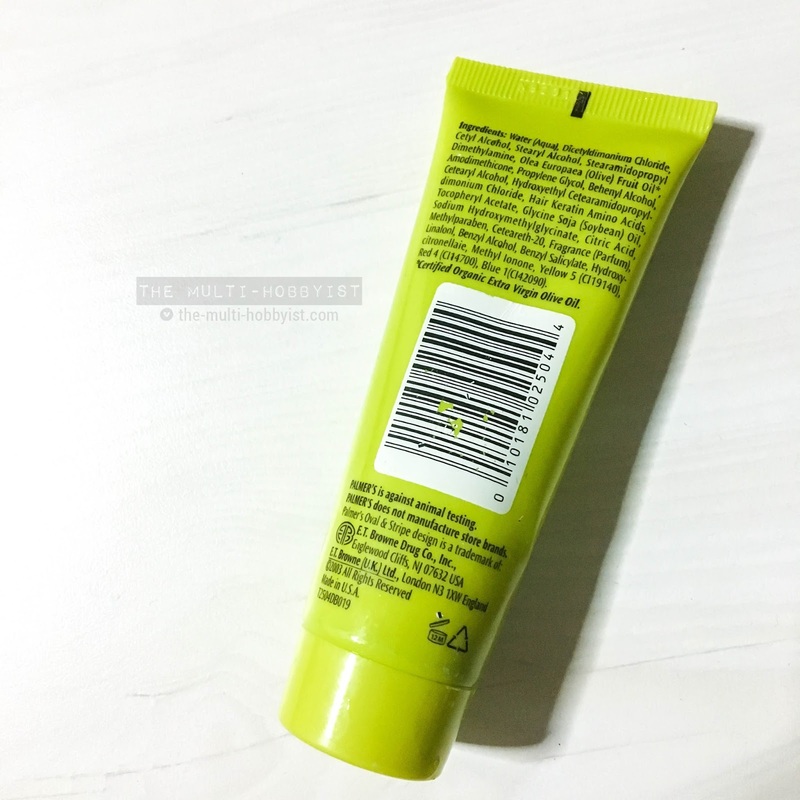 At one point I even questioned its effectiveness because of how I felt when I applied it. However, once rinsed, you can instantly feel how soft your hair is! Definitely an HG-material for your precious crown of glory. 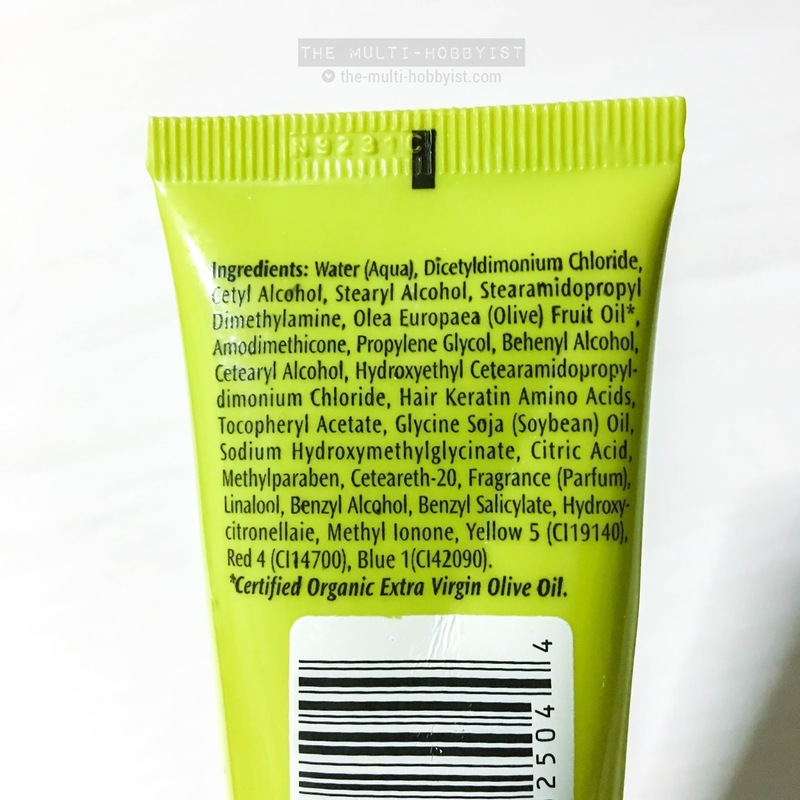 So as you can see, Palmer's Olive Oil Formula - Replenishing Conditioner doesn't have Sodium Laureth Sulfate (SLS) nor any sulfate at all but alas!--it even has Olive Oil, Hair Keratin Amino Acids and Soybean Oil! I just noticed Benzyl Salicylate though because it's a known active ingredient for getting rid of pimples/acne... Oh well. 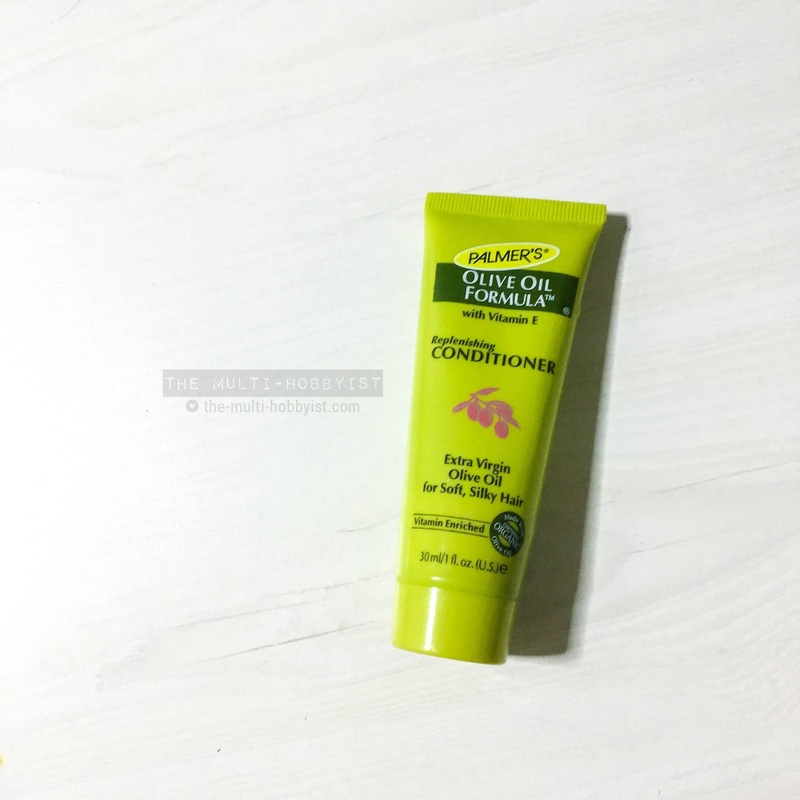 The verdict: I love how effective this is in restoring the moisture in my hair and how soft and smooth my hair is after every use. Is it worth the price? If you're high maintenance or is to products that are really effective despite the hefty price tag, then yes. Definitely.